I go away for 2 and 1/2 days and the whole world turns upside down! It seems Absolut is hoping to cash in on the growing preference for aged spirits (specifically bourbons, ryes, and other whiskeys) and are set to start selling their own version of brown liquor, in Absolut Amber. A little digging (although there isn’t much info out yet) suggests that this aged vodka will have seen a variety of wood (Swedish / American / Bourbon) barrels before being bottled at a pretty high 94 proof. One comment that scares me a bit is the mention of the familiar “vodka finish”. For those of you who came to the Night Cap, you can already start to imagine how the wood will impart some interesting flavors on the alcohol, but to me, at least in my experience, so much of the final product in aging depends on what you are putting in. A high quality vodka has very little complexity, so I wonder how much nuance the Amber will actually have. But of course once I find it, I plan on trying it. More details to come! What about you? 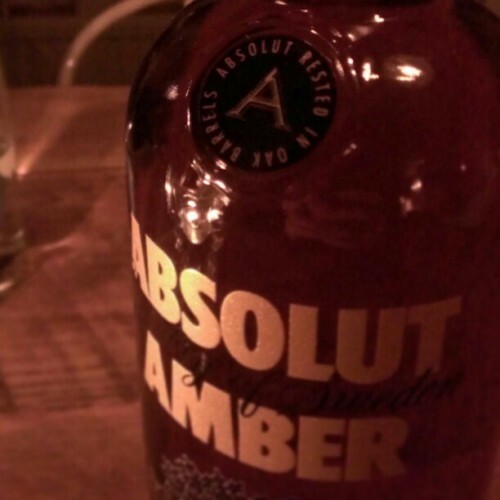 Have any of you heard anything about Absolut’s Amber?